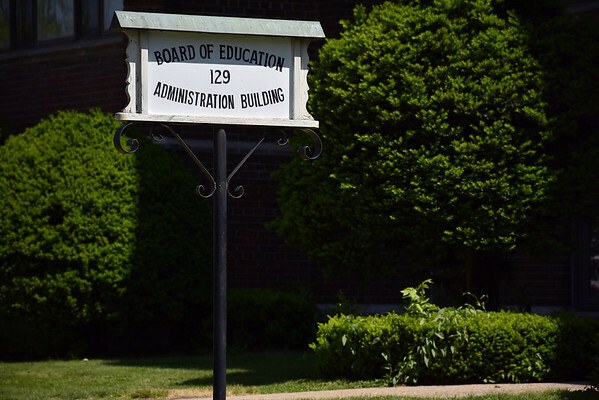 BRISTOL – The Board of Education is asking for a budget of $119.9 million for 2019-20, a 7.71 percent increase over the current year. “It’s an enormous ask,” acknowledged Superintendent Susan Moreau. This is the last school budget presentation for Moreau, who is retiring in June. She sought to humanize the dollar figures. “We have a story to tell. We have numbers but we also have lives, and the work that we do is all about the lives of children, the lives of adults who need to every day get better at meeting the needs of all of our students,” she said. Jill Browne, district finance director, said staff salaries and benefits are the major fixed cost, accounting for 74 percent of the proposed budget. That would be 2.98 percent increase over the current budget. The proposed budget includes some new staff members: Three special ed teachers, one board certified behavior analyst, 1.6 elementary special teachers, and one social emotional learning coordinator (SELC), for a total cost of $376,498. Browne said the special ed teachers are to meet compliance regulations for the ratio of regular education students mixed with special education students in the same classroom. The behavior analyst would help meet compliance regulations for students with identified autism. The elementary teachers allow more class time for students in physical education, art, and music, and also allow teachers more time to collaborate with each other and with subject coaches. The SELC would be for Greene-Hills K-8 School, the only school that did not get such a position added last year, she said. Transportation is another major cost. The district is asking for $9.7 million for next year, an 11.04 percent increase, which includes a scheduled 2.5 percent increase in the bus contract, two out-of-area bus routes for students who are moved to a different school due to classroom overcrowding, and increased costs for transporting homeless students from where they are living in another community. Browne noted the largest amount of the increase comes from transporting special ed students both within and out of the district. Tuition for regular education students attending out of district schools, mostly Capitol Region Education Council (CREC) magnet schools is forecast to rise 26.12 percent, while tuition for students in special ed program is expected to rise 36.04 percent. Browne said the proposed budget is affected by an expected 1.71 percent reduction in the district’s Excess Cost Grant state funding for special ed, which means $73,932 less for Bristol. “It’s unfortunate but that is the state of the state with regard to special education support,” she added. Chris Wilson, school board chair, said he follows the issue at the state capital. The Excess Cost Grant has been fixed at $140 million for at least the last four years and has not been increased Gov. Ned Lamont’s proposed budget. However, there is a lot of discussion about it now and the Connecticut Association of Boards of Education and the Connecticut Conference of Municipalities are working on the issue, he said. On the plus side, Bristol’s share of the Education Cost Sharing (ECS) state grant is expected to rise just over $1 million. The city’s budget process is just getting started. Under the City Charter, the City Council and the finance board have until the third Monday of May to jointly adopt a budget, which includes the school budget. Posted in The Bristol Press, Bristol on Thursday, 21 March 2019 19:16. Updated: Thursday, 21 March 2019 19:19.